Its about Magick and Zombies, it’s a little different take on the Zombie genre and follows the adventures of Orlando as he arrives in a new city. Orlando Drake is an enigma. 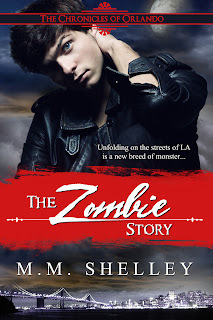 He relocated to Los Angeles with his parents and grandfather only to discover that the city was over-run with zombies. Following in his grandfather’s footsteps, he becomes a hunter-in-training under the guidance of his grandfather’s good friend, Maxwell. 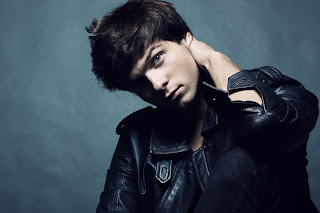 Orlando is not a natural and has much to learn, but that is not all, he also is very gifted in the magical arts; something that his parents have worked hard to conceal. Without a teacher this has left him vulnerable. 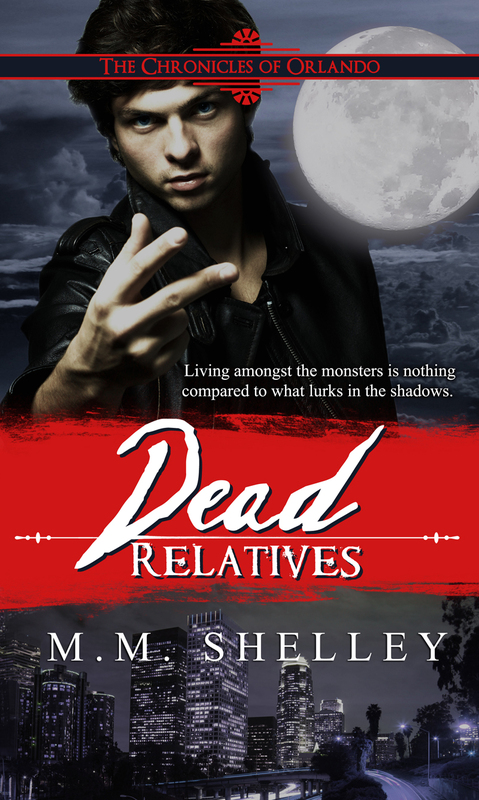 He finds escape on his Harley Davidson and as he explores the new city he discovers that in L.A. there are worse things than monsters. Orlando has a lot of questions about his powers, but he’s told to ignore his natural gifts by those training him to fight zombies. He’s told that he needs to focus and anything else is just a distraction. Yet his powers are not to be denied and emerge at the most inopportune times; like in the middle of a battle which nearly gets his training partner killed. There’s nothing like the desire to blend in with everyone else. It would certainly make things easier for him, but he has found himself making more enemies than friends. His own parents had more than one reason for relocating him to Los Angeles. He has no idea that they are connected to the troubles that are happening around him. Everything is being done to keep him safe from those who want to exploit him for his powers. You can find me over at my blog; mmshelley.blogspot.com or on twitter @MM_Shelley I would also like to let everyone in the Los Angeles area know that on March 31st Mysterious Galaxy bookstore will be hosting an event for the Greater Los Angeles Writers Society, myself and 9 other writers will be there! M.M. Shelley is a storyteller, word smith and dreamer. MISHAP AND MAYHEM, a captivating story of faerie's and magic, is her debut novel. She has traveled the world extensively in search of the magic which is often overlooked in everyday life. M.M. Shelley is a native of southern California, and a student of mythology from which she gets much inspiration. 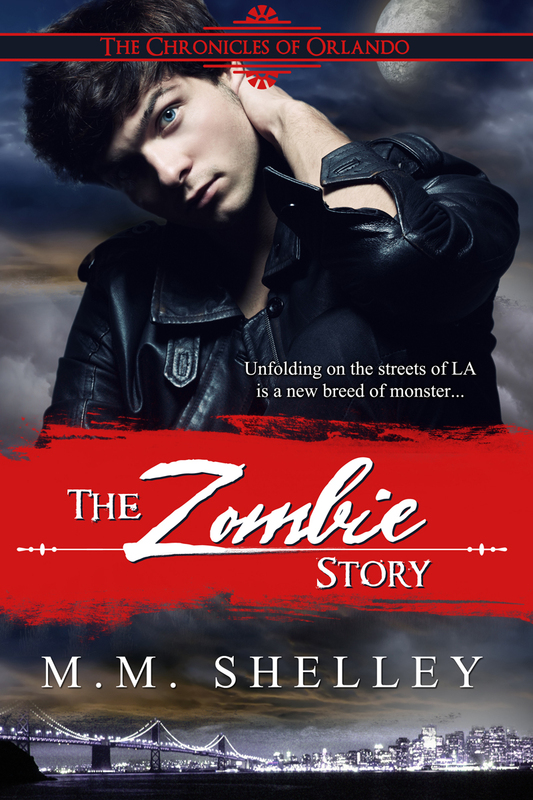 I love zombie stories, and these sound very good. I would love to read them. I have not read too many zombie stories. Orlando sounds delicious.